Workplace Violence in Emergency Medicine is no doubt an epidemic. That is a FACT. 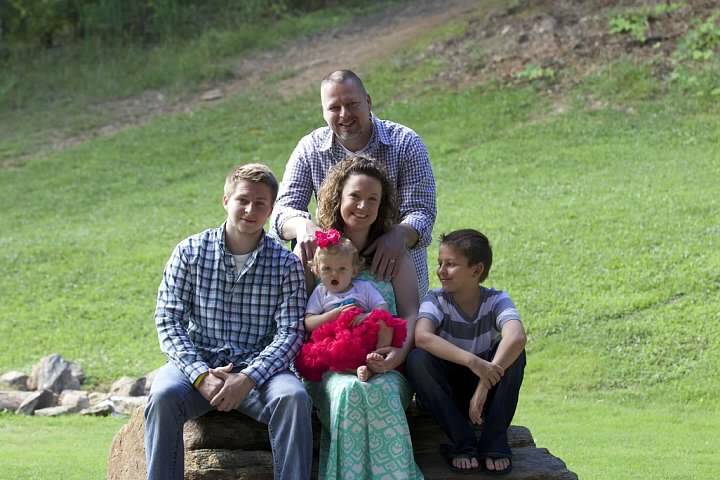 FACT: Almost daily healthcare staff in hospitals, EMS, and Fire-rescue are threatened, yelled at or physically assaulted by a patient, upset family member or bystander. FACT: You understand, according to several studies, injuries from assaults are a leading cause for lost work hours in the fields of emergency medicine. 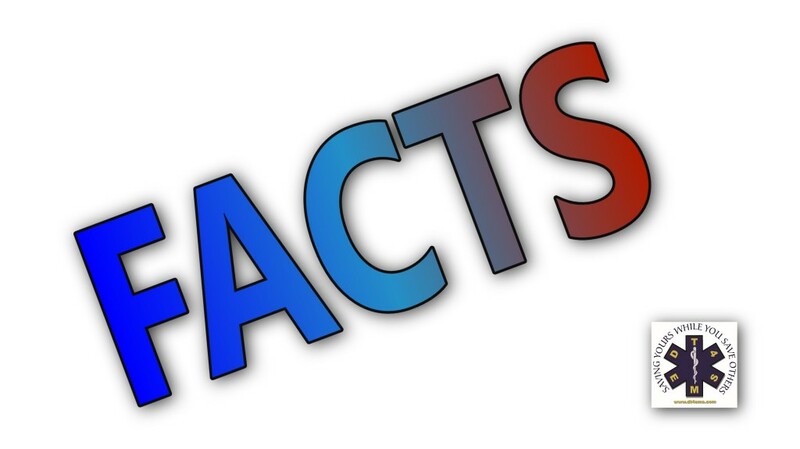 FACT: We understand you are concerned about the response you or your provider would use in these particularly stressful incidents. FACT: According to Bureau of Labor statistics, an assault on a healthcare worker is the most common source of nonfatal injury or illness requiring days off from work in the healthcare and social assistance industry. 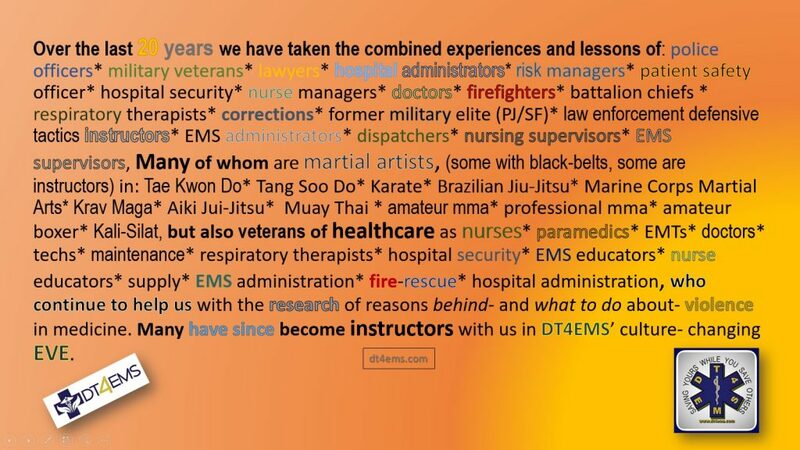 FACT: DT4EMS’ Escaping Violent Encounters (EVE) provides superior Workplace Violence Prevention (WPV) training affording staff the critical thinking skills to protect patients, staff and the employing agency. FACT: DT4EMS’ EVE has been named an “industry best practice” by Risk Management/ Safety Consultants. Objective : To empower cultural and behavioral modification through the enforcement of exemplary customer service, reasonability, and industry best practices that yield a reduction in employer liability and culminate in an increase employee safety and security. We achieve this mission by providing staff with the critical thinking skills to recognize a change in a relationship. 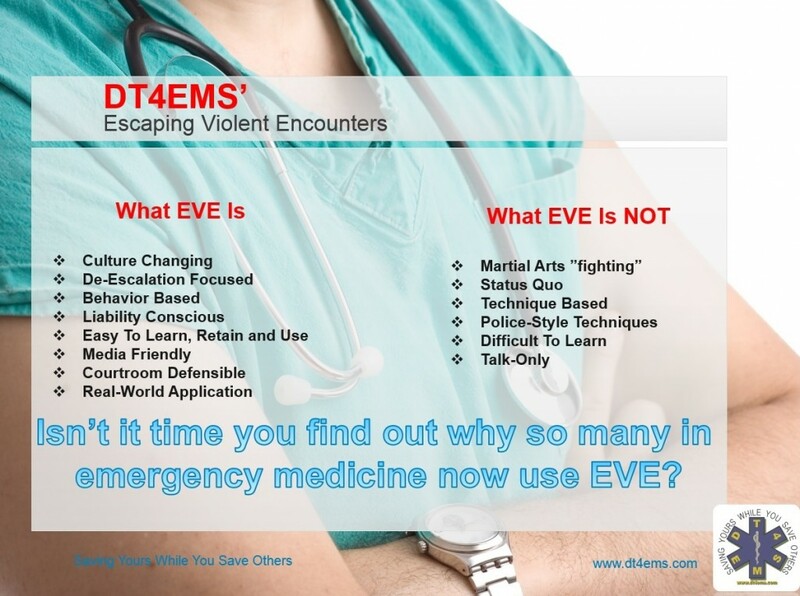 The Founder of the program, Kip Teitsort, having experience as a paramedic, police officer, and martial artist created EVE from purely an EMS/Healthcare origin- not some existing corrections/psych/law enforcement (continuum based) class that was modified to be an EMS/Fire/Healthcare class.